Surprise, we carry quite the selection of knives! Here are just a few types we carry. We order a lot so our prices are really great! Most with 440 stainless steel, some with Damascus steel. 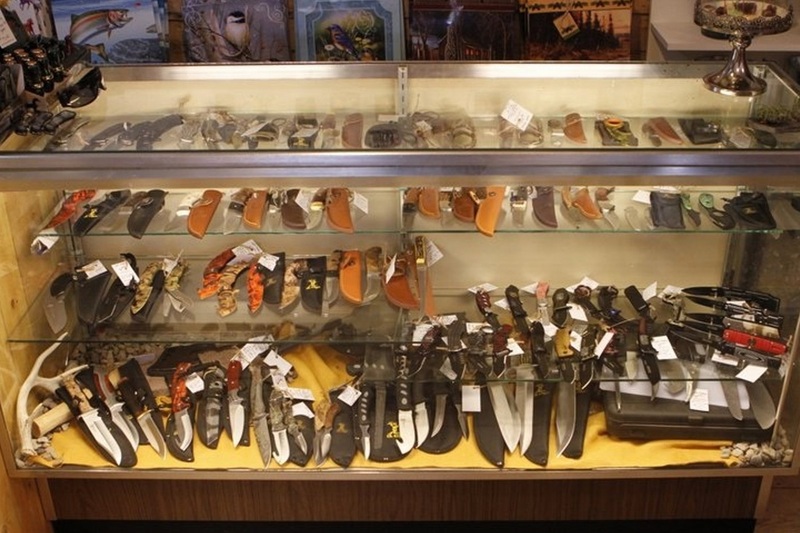 Some of the brands we carry are Buck, Kershaw, Gerber, Havalon and Elk Ridge. We are working on getting local custom knives. Did I mention we carry Blow Guns? And the replacement darts too? Those prices start at $7.95!